Above is the chaos before shot! Below is the after…everything has a place now yippee. Plenty of items that were formerly must haves, are now in the trash/charity pile! You will need cleaning supplies; I like Clorox Clean Up, Mr. Clean eraser, paper towels, Windex and boxes, dividers, etc. to help you organize your space. Step One: Make a plan before you get started. Now is the time to find the right spot for all your kitchen essentials. Clean one cabinet at a time. If you have not used an item in the cabinet you are cleaning in the last 6 months, do you really need to keep it? 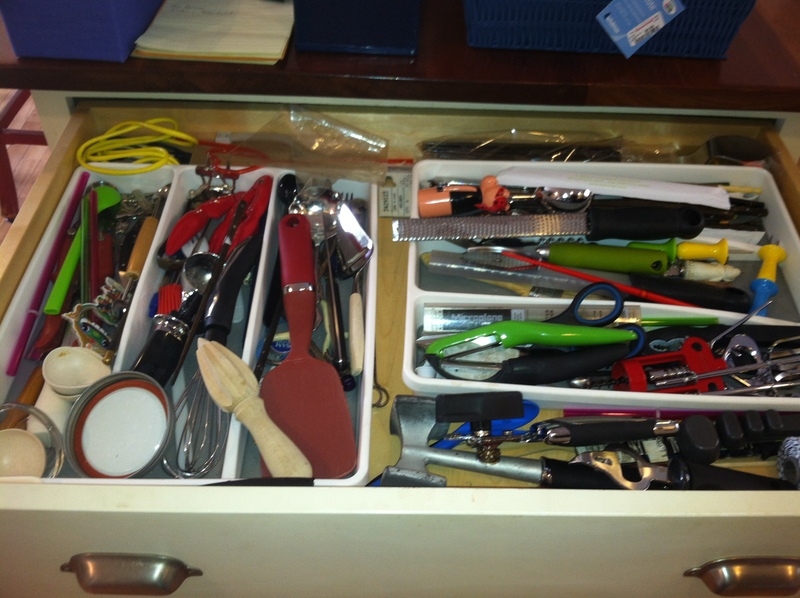 If you do need to keep it does it need to be in your kitchen, or is it adding to the clutter? Could it be moved to your basement, attic or storage area? Step 2: Clean, disinfect and deodorize your empty space! Step 3: Look at your plan, what is going back into the cabinet you have just cleaned? 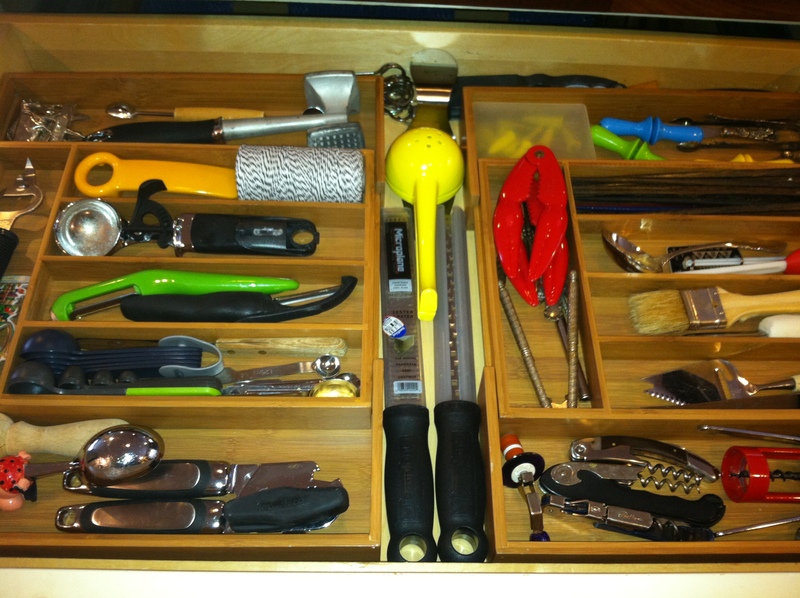 Do you need dividers, storage boxes, organizers or a Lazy Susan to make the best use of the space? Step 4: One more chance to purge yourself of useless or less used items, and then put what you want to keep back in your cabinet or drawers. Step 5: Congratulations! One down keep up the good work…you will be more efficient in a more efficient space! OY, tomorrow more of the same…maybe the pantry?